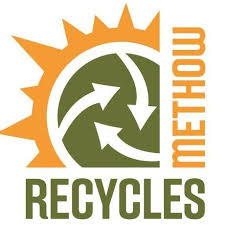 WINTHROP – A metal drive is planned from 9 a.m. to 3 p.m. April 27-28 in the Methow Valley. The event will be at Cascade Concrete, 54 Horizon Flats Road. People can bring appliances, engines, wire, cable, pipe, chain, scrap steel and iron and non-ferrous metals. There’s a charge to leave refrigerators, freezers, air conditioners and other items that contain or once contained coolants, said organizers. Fluids must be drained from engines, and plastic and rubber should be removed. Barbed wire should be rolled. Glass should be removed from aluminum doors and windows. People are asked not to bring non-metal items, or things that would make a mess when crushed or that are dangerous. “Please do not bring electronics, microwave ovens, closed containers,” said organizers. Vehicles will not be accepted. Those who want to find a new home for items can check the “exchange it” page at www.methowrecycles.org or ask about the “take it or leave it” materials reuse program at the center, organizers said.